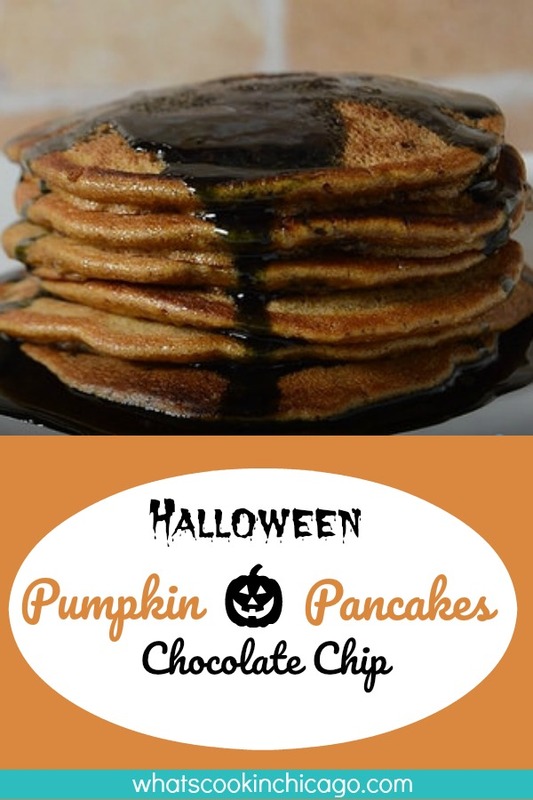 Halloween Pumpkin Chocolate Chip Pancakes are the perfect breakfast to kick off the holiday. To make them even more special, black syrup tops them off! It's Halloween season and I'm loving the spooky feel of decorated houses, pumpkins everywhere and the cloudy, cool days. We all know how breakfast is an important part of the day. so why not put a seasonal twist to breakfast? In medium bowl, blend together muffin mix, water, egg and oil until moistened. Gently stir chocolate chips into batter. Pour 1/4 cup batter per pancake onto lightly greased 375°F griddle (medium heat). Cook pancakes 2 minutes per side, turning only once. For the syrup, combine syrup and a few drops of black food coloring until colored black as desired. 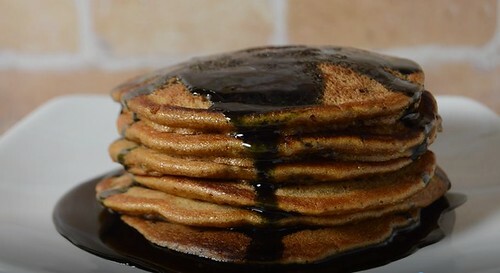 Serve pancakes in short stacks and serve with black syrup!